We all know that UK STEM is facing a huge skills crisis. According to some reports, the country needs around 100,000 new scientists, engineers and technologists every year until 2020. To achieve this, STEM must draw from the widest possible talent pool, with every boy and girl growing up in the UK made aware of the opportunities available. For many, though, a career working in certain STEM industries can seem unobtainable. Aviation in particular can be a very alien world, something that others do, and which appears closed off to certain sections of society. 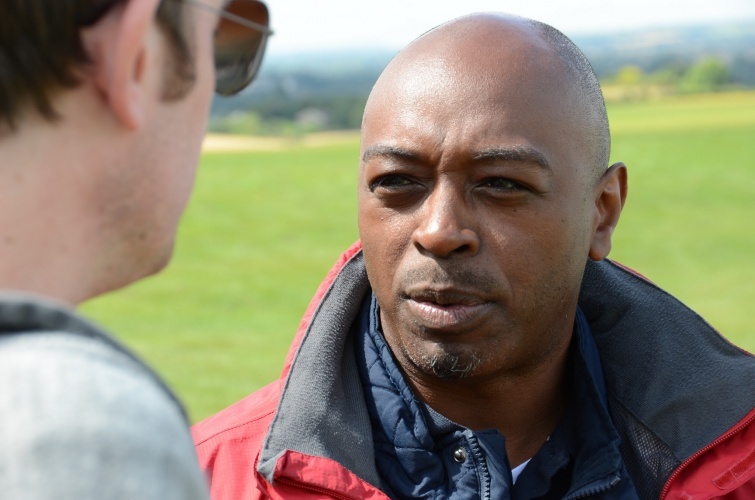 But for the past four years The Air League has been challenging those preconceptions through a scholarship programme at the London Gliding Club (LGC) in Dunstable. Working in partnership with Boeing, British Airways and Linklaters, The Air League has been reaching out to inner city schools across London to provide an introduction to aviation. This year, nine teenagers from across three schools (The John Roan School in Greenwich, Skinners Academy in Hackney, and Kingsdale Foundation School in Dulwich) are taking part, spending two weeks on site in Dunstable. But before gaining their wings, the lucky nine that were chosen had to face a rigorous selection process. Once they get to the LGC, it’s not quite all fun and frolics. As well as enjoying plenty of airtime, the students are expected to help out around the place, learning how the airfield operates, how the gliders are launched, as well as the etiquette of the sky. It’s an opportunity that many London teenagers could only dream of. As well as the practical flying skills that are generously passed along by the volunteers at the LGC, the youngsters also develop a raft of soft skills that they may not otherwise acquire. Being taken out of their everyday environments challenges them to grow in a variety of ways, building confidence and broadening horizons. “We’ve found that with the students from these areas, it’s not a lack of ability, it’s usually just a lack of knowledge in specific areas on how to get a certain job,” said Andy Perkins, a BA pilot and one of The Air League trustees. When I visited the LGC on Wednesday, the students were just three days into the course. There was certainly no shortage of confidence on display though, and the pupils from all three schools seemed to be thriving in their new environment. Upon my arrival, I was ferried out to the launch site in a golf cart by two of the boys, one of which was Liam Sealy-Knight from the John Roan School in Greenwich. Along with the two weeks on site at the gliding club, the nine students also receive a year’s membership for both The Air League and the LGC, encouraging them to continue their journeys in aviation. The project may be small in the grander scheme of things, but it’s an example of the type of approach required to draw new talent into STEM, casting the net far and wide to provide chances to those from all sections of society. This is a noble scheme to let the youth get the feel for aviation, but how does this scheme differ from the Air Training Corps. I joined at the age of 13 and stayed to gain all the ranks offered including being my squadrons Commanding Officer 12 years. Are there no ATC squadrons available in those areas? I believe the Air Corps was founded by the Air League many moons ago. Not sure how many kids from inner-city London you’d be able to convince to sign up for the Corps or the Cadets though. I think this offers a different avenue to those who may otherwise have considered a career in aviation as pie-in-the-sky. There is a ‘wing’ in London so ATC squadrons would be available for these youngsters. The ATC was founded originally by the Royal Air Force in 1941 (we’re celebrating the 75th this year). I did a gliding scholarship from Parham while in the Air Training Corps as a teenager and did a to solo course from RAF Odiham. What the Air League is doing is wonderful but I do wonder if kids like these know that the ATC exists and is available to them and provides opportunities like this but with the discipline and citizenship to go with it. An alternative way, though perhaps frowned upon by many these days, is to join the Air Training Corps – a good way of learning about aircraft and getting air-experience, which certainly does no harm to one’s chances of getting into the aviation world. Here’s an idea. instead of sending those who have little chance (through no fault of their own) to ascend (make a better contract!) from the poor cards their families have been dealt -and who sadly all too often will end up quite early on the ‘wrong’ side of the law….why not, instead of their being sent for ‘correction’ [yes I know the Victorians liked everyone to stay in ‘their’ place, particularly those at the bottom of the heap! and that was 150 years ago] and pushed further ‘down’ the scale…sentence them to inspirational episodes like this described. Yes, I know ‘they’ have to be punished – I am reminded of Goethe’s words: “distrust all in whom the urge to punish is strong” and doing so keeps a lot of clerks (wigged, gowned and uniformed) and the younger someone is put away the deeper into criminality they will sink….I believe fellow bloggers will recognise what I am suggesting, even if those involved in ‘correction’ probably wont! Can you explain where in my comments, was the scheme to take people out of an environment that perhaps shows nobody any hope, not is worthy of its merits? There was certainly not any that suggested it was in any way an alternative to punishment. I was showing an alternative organisation is available that has been established for over seventy years that is available to any body that bothers to get out of there backsides and look. The ATC also provides the same opportunities for both male and female (which apparently the scheme publicized does not). All to often have we heard “there is nothing to do” , if these individuals were told that these are available, then perhaps society in general would be enlightened as to these opportunities. What ever happened to the Lasham Gliding center nr. Basingstoke and just off the now M-3? Has a 3+ mile long runway which gave off wonderful thermals and you can stay aloft easily whether it was a winch/tug tow and from the aero-flight pulls to higher altitudes then fly the local ridges and even go to the nice ridges near Dunsfold [where Top Gear was organised by the Three musketeers and the Stig]. Hi Geoff – Lasham Gliding Club is still going strong! 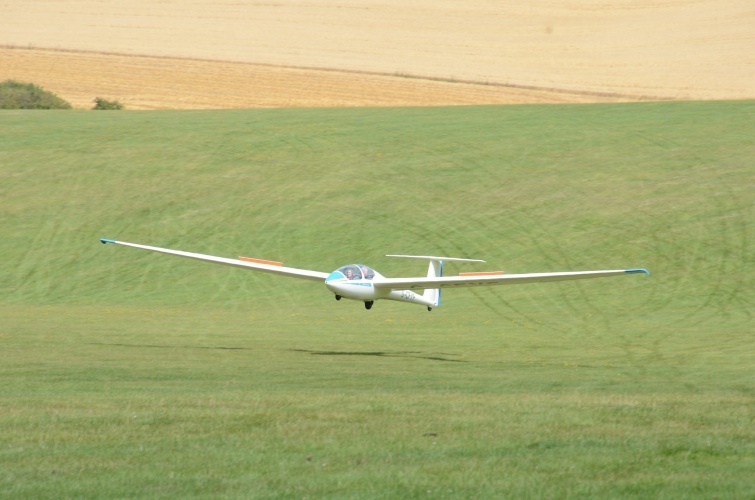 I fly from a local airfield and was playing ‘dodge the glider’ last weekend as they were competing in cross country. Unfortunately there were no girls involved in this year’s programme, though there have been girls involved in previous iterations. Sorry its taken so long for me to see Frederick Smith’s reply. Dear FS: Please be assured my suggestion was (and is) that rather than punishment -which appears to be the natural response of those presently our leaders and betters amongst the Great & Good, we encourage young persons who have fallen foul of the ‘rules’ to take-up worthy activities such as you describe. My grand-daughter (aged 14) did join the ATC: she enjoyed it very much for two years but has lapsed no because of her GCSEs. It is our (her grandparents and her parents (her mother I taught when she was at Uni studying a technological and management degree) hope that once she has completed her GCSEs (this year) she will carry on to A levels that will permit her to take an apprenticeship or similar in the aero-space or related industries.